Hue is the ancient capital of Imperial Vietnam, where the Nguyen Lords based their government during their reign over Vietnam between the 17th and 19th century. t remained the national capital until 1945, when Bao Dai (the collaborator king) escaped into exile and Ho Chi Minh declared independance from France in Hanoi. 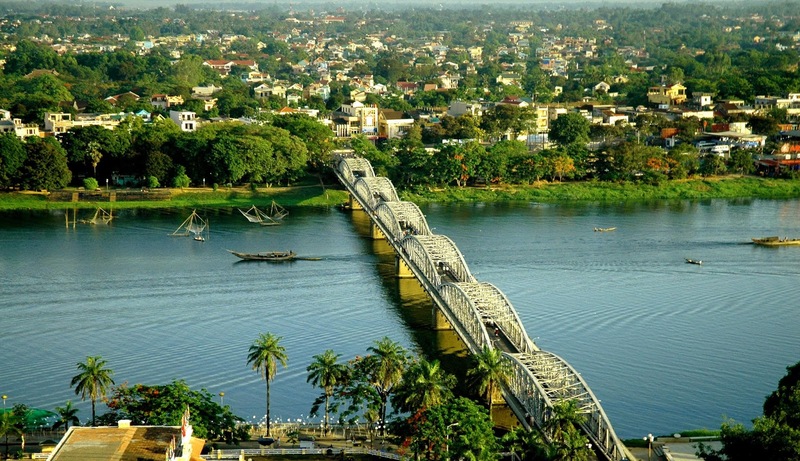 As a result the city of Hue and its surroundings are covered with impressive monuments, temples and palaces. 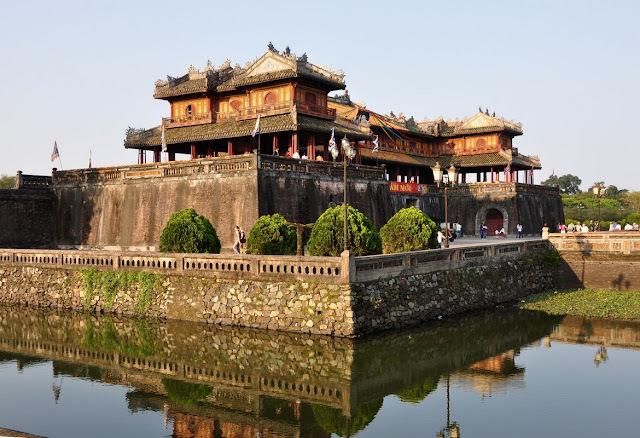 Despite suffering from its central position during the Vietnamese/American War it truely deserves its status as a UNESCO World Heritage site, as everywhere you go there are impressive buildings jumping out of the countryside - to say nothing of the imperial palace of Hue itself. 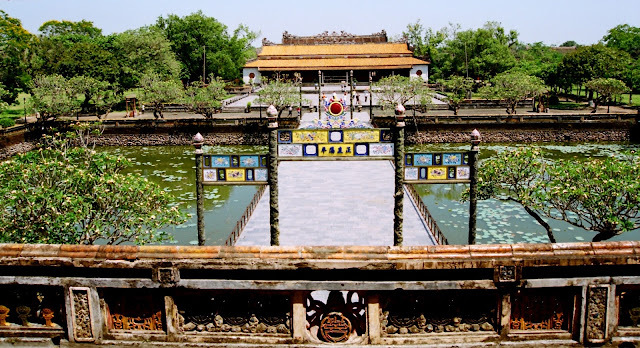 While the city of Hue is developing, the residents of Hue are reknowned for their traditionalism - even the young feel it is their duty to preserve Hue's customs, traditions and architecture for generations to come. They are known throughout Vietnam for the way they speak Vietnamese, their traditional style of dress and their food, which without a doubt is some of the best Vietnam has to offer. The emperors used to demand the very best delicacies, and thousands of special dishes were developed to satisfy their tastes. The result is a huge selection of light, delicate and immaculately crafted dishes, designed to allow the emperor to eat at leisure, each one unique, and deliciously individual yet not so heavy as to prevent him trying more dishes. 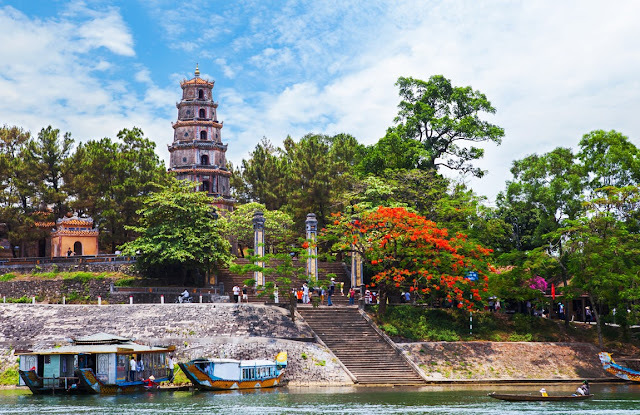 While the Imperial city is a fantastic place to explore, your visit to Hue would not be complete if you didn't explore the huge array of tombs, temples and ruins in the countryside. The best way to explore is to hop on the back of a motorbike and let the driver take you to his favourite sights - as you pass through the countryside you will see many more beautiful old building leap out of the paddy fields. You can also spend a beautiful day taking a boat trip up the river, and while it is possible to see several monuments and pagodas from the water's side, we highly recommend joining a motorbike driver for a drive once you have made your way up the river, to see more of the scenery. The countryside around Hue is stunning and made all the more magical for the sights you will encounter.